Update 8 @ 15:39 on September 10 — Nicolas Shelbourne (26) of Laughton Way, Lincoln, Mark Jackson (20), of Yarborough Road, Lincoln, two 16-year-old boys, a 17-year-old boy, a 17-year-old girl and a 13-year-old girl have appeared at Nottingham Crown Court today, charged with the murder of Shaun Rossington (22) on June 3. All seven are also facing charges of perverting the course of justice. Six of the defendants pleaded not guilty to murder, but a 17-year-old boy submitted a plea of guilty to man slaughter on the grounds of lack of intent. This was rejected by the crown. The same 17-year-old and a 16-year-old boy pleaded guilty to perverting the course of justice. The case has been adjourned for trial at Nottingham Crown Court on October 4 in respect of the defendants. Update 7 @ 20:40 on June 10 — Police have refreshed their appeal for witnesses in the Shaun Rossington murder case. Detective Superintendent Mark Hosty is leading the investigation into the case, and exactly a week after Shaun’s body was found (Thursday, June 3rd), says he is still keen to hear from any witnesses. Police are appealing for witnesses in the area between Dunkirk Road (which is near the corner of Yarborough Crescent and Burton Road), and Barkston Gardens (which is near Searby Road, leading to the Waitrose Supermarket) anytime up to about 4am last Thursday morning, and saw the victim before he was found dead. “Shaun’s body was found a week ago today, and I want people to think what they were doing at this time last week, and if they had been in the area or saw anything they think might be suspicious to contact us in confidence, and let us be the judge of whether the information is useful or not,” Hosty said. Also anyone who knows Shaun and can offer any information which may assist is asked to contact police in confidence. Police say they are currently trying to trace Shaun’s movements prior to his death, and have spoken to a number of people who gave them information. Alternatively anyone can call Crimestoppers on 0800 555 111 and leave their information anonymously. Update 6 @ 18:50 on June 7 — Two girls, aged 13 and 16, and two 16-year-old boys were remanded to the care of the local authority, according to a BBC report. A 16-year-old boy was remanded to a young offenders’ institution, and Nicholas John Shelbourne, 26, and Mark Jackson, 20, were remanded into custody. 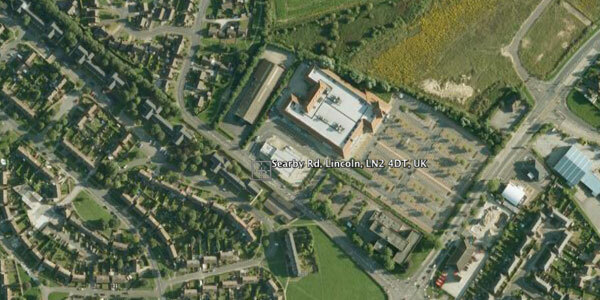 The defendants will reappear at Lincoln Crown Court on August 6th for plea. Update 5 @ 8:30 on June 7 — The seven people arrested on Saturday in and around Lincoln in connection with the death of Shaun Rossington have now been charged with his murder. They will appear in Lincoln Magistrates Court on Monday morning (June 7th), and are committed in custody to appear at Lincoln Crown Court on Tuesday, June 8th. Update 4 @ 23:06 on June 5 — Detective Superintendent Mark Hosty has confirmed that he is treating the case of the death of Shaun Rossington as murder. Seven people were arrested on suspicion of committing murder in a number of police operations in and around Lincoln on Saturday, June 5. They are all local: 2 men aged 25 and 20, and 3 male juveniles aged 16, and 2 female juveniles aged 16 and 13. They are being held at various police stations and being questioned in relation to the death of Shaun. Shaun’s parents have asked to be left alone to grieve but have released the following words of tribute to their beloved son who they describe as an “absolutely lovely boy”. Sharon and Kevin Rossington said their Shaun was a 6’4” gentle giant. “He only had friends — no enemies,” they said. “His passions were football, cars and the gym. He loved watching Lincoln City play and would never miss a home match. He was so looking forward to watching all the World Cup games on the television. “Shaun was also a keen player and in season turned out regularly for Lincoln City Sharks. He went to his gym regularly and was very fit and healthy,” they said. Sharon and Kevin last saw their son alive late on Wednesday evening when they went to bed. They only suspected something was wrong when he was not at home when they got up on Thursday morning. “That was totally out of character. He just never stayed out all night. He was his usual happy self watching television when we went to bed and he must have decided to go out later. It is all just so difficult to understand what has happened. The photograph above, issued by Lincolnshire Police on behalf on Shaun’s parents, shows the young man on a family holiday a few years ago in Fuerteventura, Spain. Update 3 @ 11:00 on June 4 — The victim has been named as 21 year old Shaun Rossington of Dunkirk Road, Lincoln. The officer leading the investigation, Detective Superintendent Mark Hosty from Lincolnshire Police Crime Support, has been assigned to the case. Hosty revealed that the Home Office pathologist, Guy Rutty established at a post mortem last evening (Thursday) at Lincoln County Hospital that the victim had died from head injuries. The priority today is to find out how Shaun came by his injuries before he can say what the nature of his investigation is. Shaun Rossington is described as of athletic build 6’ 4” tall and was wearing a grey hooded sweat shirt, and dark blue track suit bottoms. “We are currently trying to trace his movements prior to his death and have spoken to a number of people who have given us information. Shaun is a big lad and would be noticeable by his height and stature alone,” said Hosty. Update 2 @ 10:22 on June 4 — A post-mortem examination of the body of the man found yesterday near Searby Road was carried out at Lincoln County Hospital last evening (Thursday) by Home Office pathologist, Guy Rutty. Further details and hopefully the identification of the victim will be released later in the day. Update 1 @ 10:36 on June 3 — It appears that the body of the man found this morning had suffered severe injuries. A pair of trainers found lying at the junction of Nettleham Road and Searby Road might be connected to the death. Original @ 8.57 on June 3 — The body of a man believed to be in his 20s was found in the grass beside Searby Road (near Waitrose) in Lincoln, at 4.50am on Thursday morning. Lincolnshire Police have arrived at the scene following a call from a member of the public, and are calling the incident an “unexplained death”. Whilst the initial examination of the area around the found body is carried out, Searby Road and Nettleham Road between Wolsey Way and Yarborough Crescent have been closed and will remain so for some hours Thursday morning.